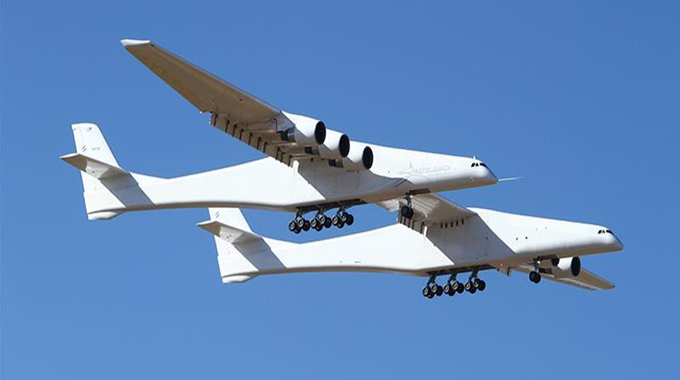 The world’s largest aeroplane made its first test flight on Saturday in California. The mega jet, called Roc, which has a wingspan the length of an American football field and is powered by six engines on a twin fuselage, carried out its maiden voyage over the Mojave Desert shortly before 7am Pacific time. It landed safely back at the Mojave Air and Space Port as a crowd of hundreds of people cheered. “What a fantastic first flight,” Stratolaunch Chief Executive Officer Jean Floyd said in a statement posted to the company’s website. “Today’s flight furthers our mission to provide a flexible alternative to ground launched systems,” Floyd said.